Eugene Brailov showed a strong interest in art since childhood. However, his real calling didn't come until his late twenties when he got a chance to indulge in his hobby of painting, and discovered the intensity of his passion for it. Graduated from the University of the Arts London, he specialized in absurd and conceptual oil painting. 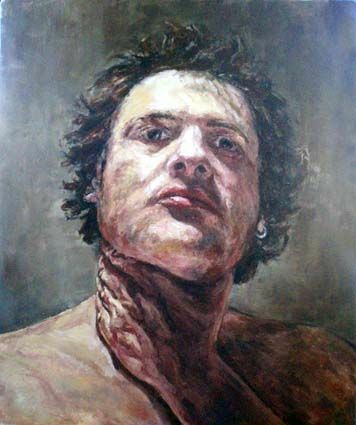 Taking inspiration from Franz Kafka, James Joyce, Lucien Freud and other masters, Eugene uses varied techniques from oil and mediums to unusual additions in a picture and support of the modern technologies. His works include fine art reproductions, portraits, absurd and conceptual paintings.